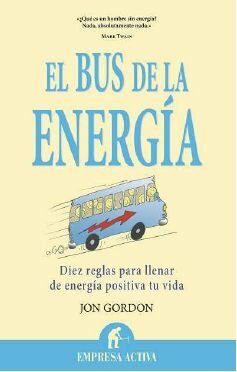 Jon Gordon is a speaker, consultant and author of the international best seller "The Energy Bus: 10 Rules to Fuel your Life, Work and Team with Positive Energy" which has captured the hearts of readers' world wide. With his positive spirit and message Jon empowers audiences and readers to live and work with more positive energy and purpose and cultivate positive work environments where individuals and teams create more success and enjoy the ride of their life. Jon and his books have been featured on CNN, NBC's Today Show and in Forbes, Fast Company, O Magazine, the Wall Street Journal and the NY Times. Clients such as The Jacksonville Jaguars, PGA Tour, Northwestern Mutual, Publix Super Markets and JP Morgan Chase also call on Jon to get their team "on the bus" and moving in the right direction.